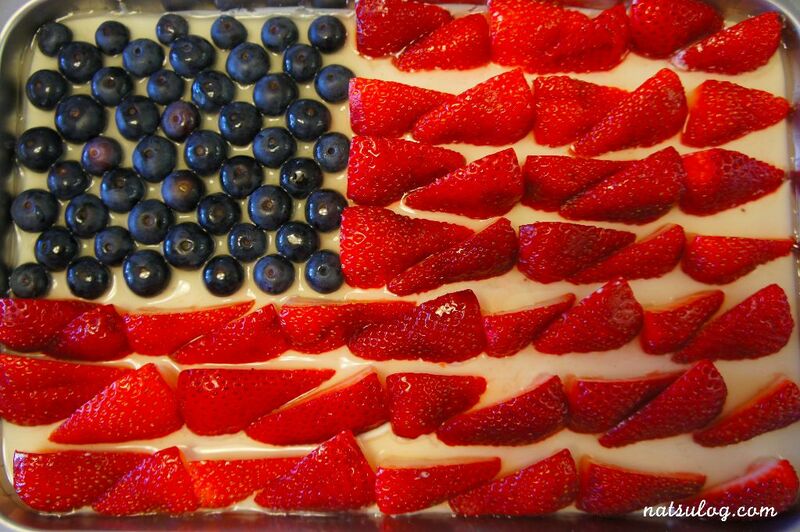 I was invited to my friend’s house for BBQ on Fourth of July and I wanted to prepare something very nice to celebrate the day!! And I made this… TA-DA!!! 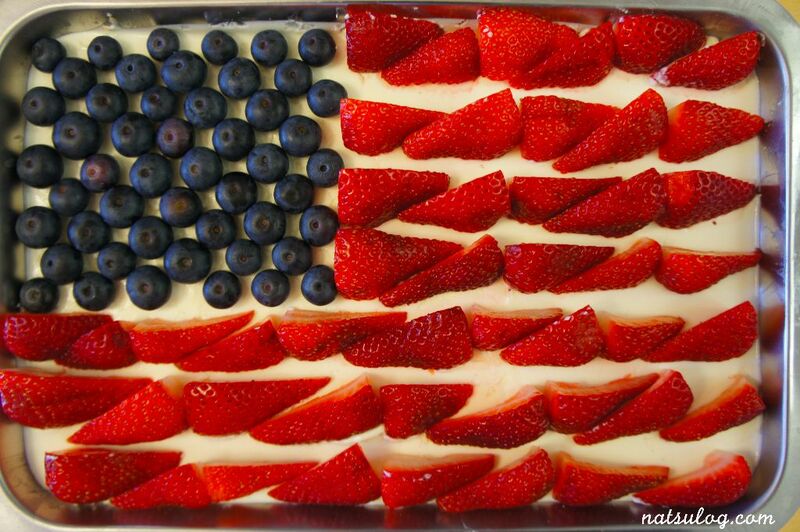 A birthday cake for the United States!!! By the way, how old is this country?? 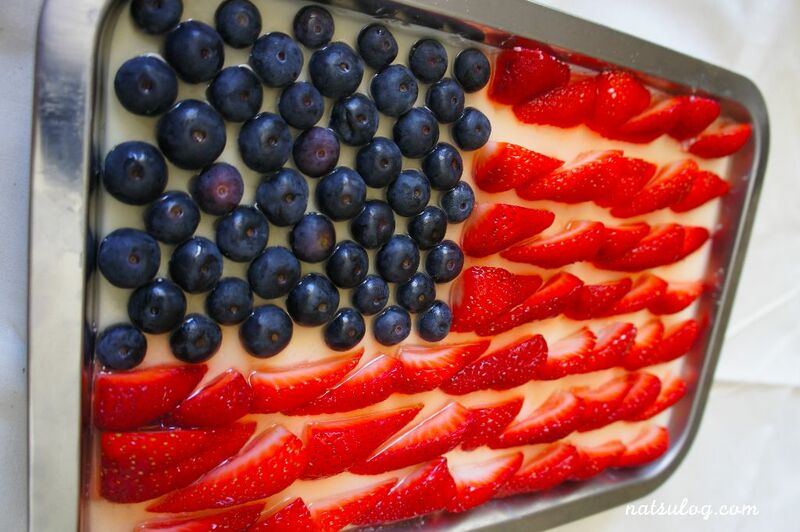 It won independence from Grate Britain in 1776, so America is 238 years old now. 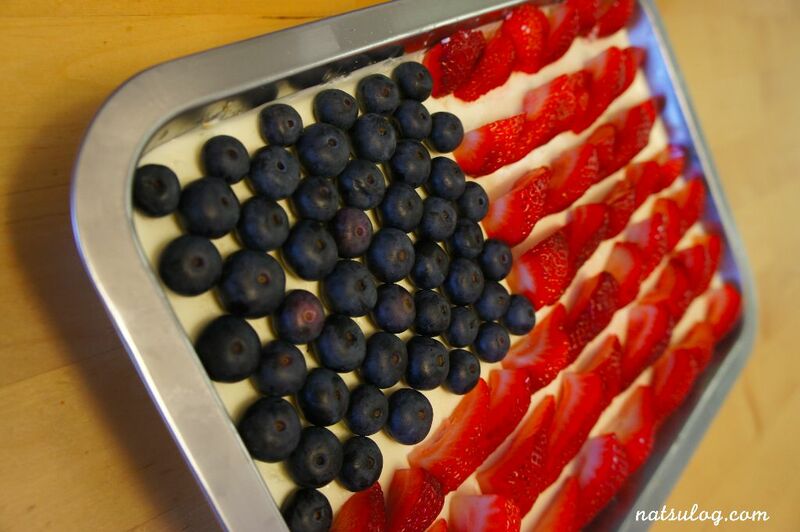 It’s an unbaked cheesecake because it won’t be too heavy after the BBQ and also refreshing with lots of fruits on top! 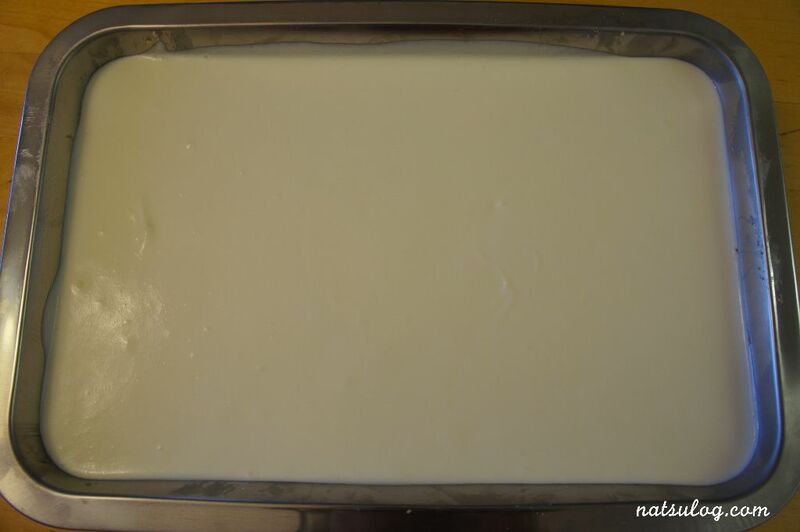 The unbaked cheesecake is normally made from cream cheese, heavy cream, sugar, and gelatin. This time, I added some lemon juice and also sour cream, so that it would be a little bit tart. The cake got harder after keeping it in the fridge overnight with the power of the gelatin. The fruits are set now. But the decoration is not quite done yet. Since I just put the fruits on the cake, they might move when I carry to my friend’s house. So, I poured a sauce made from white wine, sugar, lemon juice and gelatin powder on top. 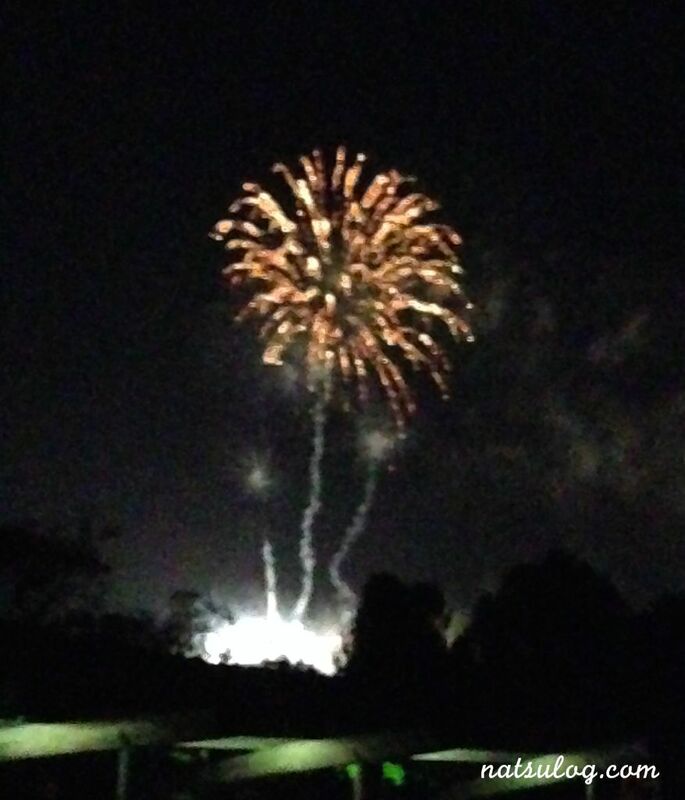 At night, I walked to the park in my neighborhood to watch the fireworks!! It was really nice although I couldn’t take nice pictures… I found that the fireworks we could watch in Japan is probably much bigger than what we watched here. If you have a chance to visit Japan, please watch the beautiful fireworks!!! Anyway, watching the beautiful fireworks without thinking anything was really nice thing to do. Smells yummy! And some monsters came…!! How to use leftover sour cream? ?